The Barre 3 sign outside the studio in Rittenhouse. 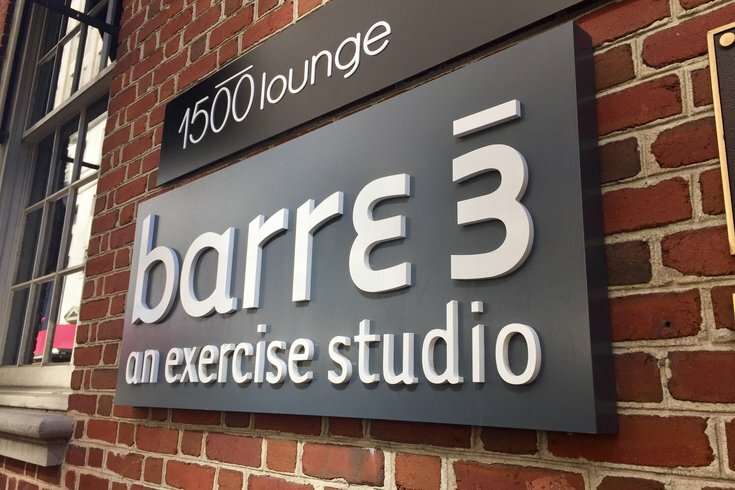 Barre 3, which has studios across the country and one in Rittenhouse, announced a new addition to its lineup of props used in class. During a Barre 3 workout, class participants use core balls, resistance bands and handheld weights. Now, slider discs will be incorporated. The small, plastic and felt discs are powerhouse props that engage your glutes, hips and abs by increasing instability, thus making you work harder to balance. The discs also force users to slow down and focus on each move. Barre 3's corporate master trainer Catie Farhne shared on the company's blog that when you use the sliders, your muscles engage quickly. You'll feel the burn right away and, with use, notice an increase in your core strength. If you're not familiar with barre workouts, they're low-intensity and easy on your joints but tough on your muscles. Each workout focuses on form, precision and tiny movements, incorporating ballet poses, Pilates and yoga. In recent years, barre has gained popularity because it can help create lean muscles, enhance flexibility and improve balance. As for slider discs, they've quickly become a favorite among celebrity trainers (like Simone De La Rue and Jillian Michaels) who use them for ab exercises.